Is your brand using Snapchat yet? 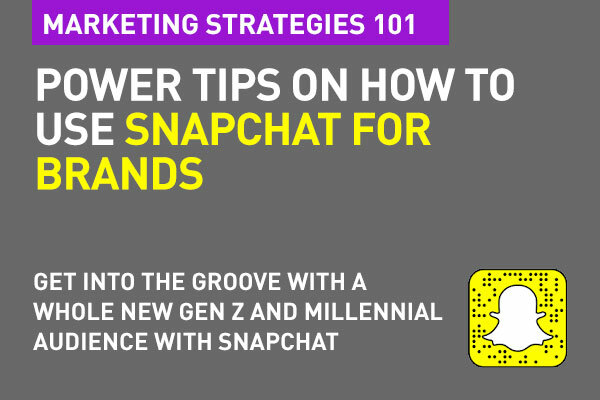 Snapchat has a huge following with both Millennials and Gen Z users, so if those are the audeiences you’re trying to reach and engage, and tell a innovative brand story, Snapchat is the way to go. As a brand manager, or agency lead, are you up with it (or down with it, as teens would say)? Do you what the whole Snapchat buzz is all about? And are you aware that some of the world's biggest brands like McDonald's, TacoBell, Evian, Mercedes (yes Mercedes), American Apparel, Intel all use Snapchat effectively? Snapchat is the fastest growing social network in the history of social networks, and 63 percent of its more than 100,000 daily active users, are between the ages of 13-to-34 and a driving force behind the mobile revolution. On Snapchat brands need to be able to understand the idea that users are looking to experience and share content in a unique and specific way. For brands, this means creating unique content in that format that stands out and stories that users want to talk about. You, as a brand will need to create content on the fly in unique and creative ways that you may not have done before, or aren't quite geared to do. But, it's time you did. Snapchat have over the last year added functionality that helps brands tell less-fleeting stories and reach a wider audience. Snapchat celebrities are gaining massive followings … and letting brands in on some of the fun. Those are Snapchat influencers at play. “With Snapchat, it feels less like a creator/viewer relationship and more like a friendship – like a text message between friends,” says Snapchat expert and celebrity Shaun McBride, who snaps under the handle Shonduras. He’s worked with many brands, including Disney and Red Bull. Snapchat videos have 10 billion views everyday (Facebook is at 8 million) with 100 million active users each month, according to Bloomberg. Snapchat is a 'photo sharing app' that allows users to take photos, record videos, add effects, text or drawings, send 'snaps' to controlled groups of recipients. 'Snaps' last between 1-10 seconds. 'Snap chat stories' – the ones brands usually use can last between 25 seconds to 24 hours. Today people still use the platform to share time-limited photos and videos, but a newer feature called Snapchat Stories lets users (and brands) post content that lasts 24 hours rather than immediately self-destructing. By putting together a series of photos or videos during a day, you can create longer, more engaging stories. Snapchat earlier launched Discover, a new way for brands to reach viewers. Discover lets brands feature their editorial content within the app. This is mostly used by media channels to promote owned content but with plenty of opportunity for content-rich brands as well. Choose your identity carefully – Snapchat will need to make an exact match when they type in your company (or brand) name. Make sure your Snapchat ID is intuitive and simple. You can find Dominoes Pizza UK by typing “Dominoes_UK” but not "Dominoes Pizza". To me, that's a bit of a difficult one. Coca Cola is "cocacola". Coke will not lead you there. You don't need photoshop perfect images. They should look real, and in the here and now. Your images or posts should tell great stories, cool stories. Like all other social channel, it’s all about great content. Plan your stories and unfold them. It's not about image quality, but about the storyline and the narrative. It should feel natural. Here again, realize that there should be content that's done right. Somehow, your content on Snapchat may be somewhat different in tonality and approach, but you should be speaking the same language across all your content channels. Many brands out there are simply re-purposing existing content, or using their YouTube content by inserting commercials and “pre-roll” content into Snapchat's Discovery channel. This just doesn't resonate. Honestly, Snapchatters tend to ignore the "branded experience" for the most part. Your content should be fresh, created for Snapchat and keeping the user in mind. Audience and Customer Insights is your First Step in Digital Marketing. You could use the "Stories" feature to reach your entire audience of followers at once. But also use specifically created content to special groups of your audience to hyper-target them. They appreciate 'bespoke' content. This is a great way to keep your Snapchat audience engaged. Try regular compeitions, contests, unique to Snapchat product sneak peaks, cuopons. Do this on a specifically timed basis "Fun Fridays" could mean, that's the day you give away clues to a freebie. Sending “Snaps” around special promotions or events should help drive traction, especially if you include an exclusive coupon or freebie. Rather than relying on followers typing in your company name to find you, share your unique Snapchat ghost (Snapchat’s version of a QR code) so users can take a picture and connect. As marketing on Snapchat is still fairly new, huge opportunities exist for companies that decide to take the leap now. Not only will you be able flex your creative muscles, but your campaign may also prompt media coverage, expanding reach and visibility for your brand. Those are some points to keep in mind for your brand to successfully engage with the powerful audience group consisting of millennials and Gen Z folks. Remember they aren't just a powerful demographic. They're cool, savvy and hungry for content. Stay fresh. And that's the basics. That's Digital Marketing Strategies 101. Thank you for sharing these tips. What you did not mention here is that you may need "specialist" social media community managers or content creating people to help brands with Snapchat. No wonder we are hearing about "Snapchat Agencies" coming up. I don't think that a brand manager or a regular business marketer can handle this "in-the-now" social medium as you mention. This is not about photography skills, or hashtagging. Snapchat really requires the ability to tell a real story in an exciting format. It is also something that ad agencies or media agency dreatives can handle automatically. Snapchat really needs someone who understands both content and context. For some reason I am unable to Reply on the above comment by Stanley. I totally agree that Snapchat needs specialist social media skills – part creative, part curator, and part story teller but mostly a person who understands the context of what is being said and one who believes in truly engaging the audience that you mention. Snapchat may be niche now, but it is going to go mainstream any time soon. 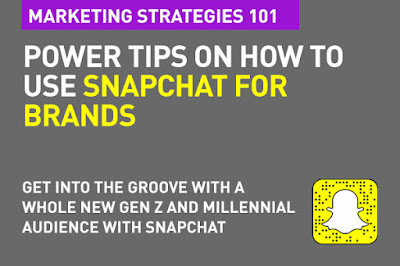 For brands who have teens and twenty somethings in their audience bracket, Snapchat is becoming an essential platform. It is important to recognise the rising power of Snapchat specially in that demographic. Brands who are re-using their tv ideas for Snapchat, and those whose posts look unrealistic are missing the point. Snapchat is like reality TV on the phone and in the instant.